The Legend of Zelda, Breath of the Wild if I need to be more specific. Talk more about Ys VIII: Lacrimosa of Dana, people! If you like Tactical Turn based combat on a grid map, that deals with giant robots and realpolitik then certainly. Don't let the giant robot thing deter you either, the wanzers are simply tools and rarely the focus of the plot which is really more about the various nations all being cutthroat with each other. If you like Tactical RPGs, it's not a bad one to consider. Ys and Trails, as well as giving Tales of a second chance are all on my bucket lists as well. Still, I've got an itch for Front Mission at the moment, and I'm reminded that I never finished FM4, so I may start a new replay of that one. Fair enough, I still need to mop up the last superbosses and then delve into Trail Mode myself, though that may still be awhile. Are you going to check it out when you get a chance? I will have to check that out if it's compatible with the PS4 version, I'm liking some of the changes listed in the link. Have you tried it out yet? Kann ich verstehen, das ist nicht für jeden. Zum Glück tröstet mich die Klischeestory des Märchens das Kingdom Hearts ist und die Freude nach langer Wartezeit über die nun endgültig und total inkonsistenten Faktoren hinweg. Mann, Kingdom Hearts III hatte am Ende kurz vorm Endkampf so viele Plotholes/wonky narration. One idea I wanted to do for a game was a Sonic the Hedgehog style title with a heavy music theme. The flow and level design is Sonic, but the gameplay is closer to Amplitude/Frequency. You collect different color notes which eventually activate more instruments that play in the stage music. The goal being to have the full song playing by the time you reach the goal. The story is about a chronically late DJ who is always trying to get to a new show/concert his girlfriend is at. Each stage would be a different genre of music. The other is an RPG that's kind of like the film Millennium Actress but with video games instead. The main "game" the programmer is working on is a Dragon Quest knockoff but the battle system was unique. Basically I drop all pretense of HP/MP and stats, instead battles involve turns and your character has a limited amount of turns to defeat an opponent. You have Attack, Defend, Magic, and Items but the catch is that you may have to use some of the non-combative commands to win. So like you have two turns to beat a slime, but weapons and magic don't hurt it. So instead you'll learn in a town that slimes are weak to potions so you dissolve it instead with items. Some enemies will destroy themselves and try to take you with them so you'll need to defend, and other monsters may take a combination of all the abilities to win, the trick is figuring out what works, what order, and to use your turns wisely because if you run out of turns the monster just gets to eat you. The rest of the game is a bit more meta and fourth wall breaking, I may just mognet you the full story idea for it. I can understand the issues of working in a team and staying motivated. I'm working on a comic book idea with a friend. For most of the month, I've been obsessed with it and constantly writing background ideas and plotting out the main scenario while my artist friend has kind of been ho-hum about everything and easily distracted. Now I'm getting distracted with other stuff and she's suddenly got the fire to get to work. So it can be a process but I guess it's nice one of us is always burning a torch for the project. It's the nice thing about remaster/remakes is that it does bring in new fans. I remember the GBA ports of the SNES entries bringing in quite a few new faces on this forum, and I feel Dissidia did a great job making people look back on the older entries with a new sense of wonder. You're part of a dev team? Hot damn, wish I had the patience. I tried to learn computer programming in college when I finally went back to school but learned I didn't have the patience or aptitude for it so I had to change my major to some throw away one so I would stop accumulating student debt. I'm usually impressed with anyone who has the fortitude to stick to programming and software engineering. I'm better with coming up with designs than I am with implementing them. There's something truly magical about Himawari that I didn't really realize back when I first read it but have come to appreciate about it more and more. Well, at last, it happened. It's been a long time coming, Umineko Chiru is finally available for purchase on Steam, and alternatively MangaGamer's own website. This is the second half of Umineko of course, so if you haven't read the first half yet, you can get it here. Little Busters! English Edition is now available! As of today, Little Busters! English Edition is available for purchase on Steam! 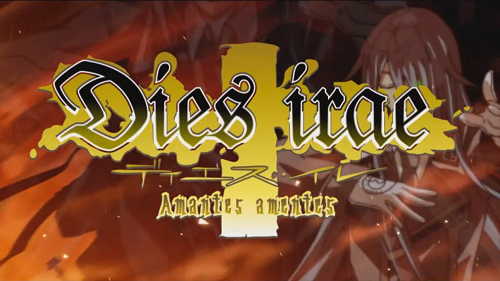 Dies irae ~Amantes amentes~ is a visual novel created by Light. 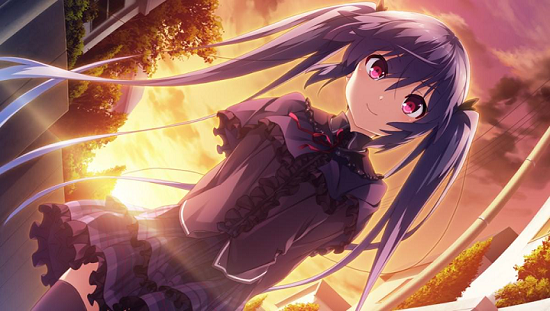 It was one of the most renowned JP-only VNs before finally getting a localization in June of this year. Come, gather and bear witness to my opera, now in the making. Its actors are of the finest fold; beyond exquisite. Thus, I believe you will find it enthralling. You talk too much. All you have to do is honestly say 'I'll kill you'. For those that don't know, the climaxes of Episodes 4, 5 and 6 are my 3 favorite moments in Umineko (which also makes them my 3 favorite moments in fiction overall), all for their own individual reasons. I've been dying to talk about them for a while. I figured I'd start with the Episode 4 Tea Party, quite possibly the greatest example of Ryukishi's writing skill of them all.